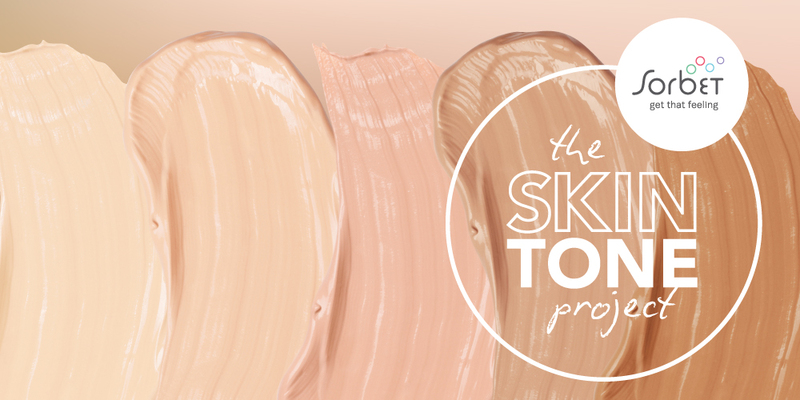 Over the past year, Sorbet went on a mission around the country to find the perfect foundation shade for South African women. We used our knowledge of skin and our experience in doing millions of facials to help us unravel the best shades. We matched and we mixed until we finally nailed the perfect palette that covered all our skin tones & we promise there’s one that’s perfect for you too! With 92 foundations available in 28 different shades, the new Sorbet Make up collection is set to be the make up choice for real South African women. There are many beautiful skin tones in our rainbow nation, and we’re proud to have created a foundation range that honestly reflects them. With so many different skin tones making up our wonderful rainbow nation, building the Sorbet range truly was a fun puzzle to solve together! Thank you South Africa for helping us create the ultimate foundation range based on true South African skin tones! Get your skin tone matched at any of these participating Sorbet stores, share your photo & tag @Sorbetgroup & stand a chance to win R1000 voucher to buy your Sorbet Make Up! This competition is valid for Sorbet Society members only, the R1000 voucher can only be used at participating Sorbet stores. Entries can be made on all Facebook, Instagam and Twitter platforms. Competition ends 11 March 2018. Winner will be announced 13 March 2018. Sorbet reserves the right to cancel this competition at anytime, should it wish to do so.